China is killing my business. 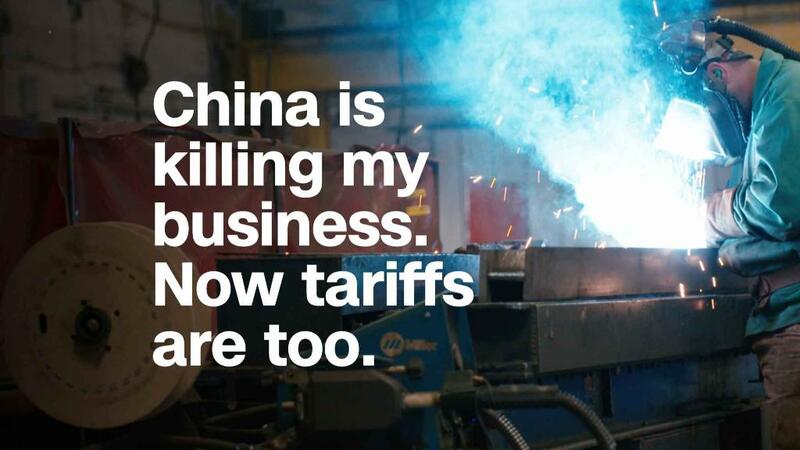 Now tariffs are too. China is slashing tariffs on imports from five Asian countries in a move that could strengthen its defenses in a trade war with the United States. Beijing will reduce tariffs on thousands of products from India and South Korea, as well as the smaller economies of Sri Lanka, Bangladesh and Laos, China's commerce ministry said Thursday. The reductions are due to take effect on July 1. They're part of an agreement between the six countries called the Asia Pacific Trade Agreement (APTA) that covers more than 10,000 goods in total, the ministry added. China has identified more than 8,500 goods from the five countries on which it will "reduce or cancel tariffs," China's Ambassador to India Luo Zhaohui said on Twitter. They include soybeans, steel, aluminum as well as other agricultural and chemical products, he added. #China will reduce or cancel tariffs on imports of 8,549 types of goods from #India, South Korea, Bangladesh, Laos & Sri Lanka. The goods include chemicals, agricultural & medical products, soybean, clothing, steel & aluminum products. Good news to help reduce trade imbalance. Many of those products could help replace imports from the United States that will become more expensive in China if the two countries go ahead with tariffs on $34 billion of each other's exports next week. Although the Asian trade agreement was planned before the US-China dispute escalated, some experts say Beijing is highlighting it now to send a message to the White House. "This is basically a tactical measure to counter the Trump administration's tariff rise," said Srikanth Kondapalli, a professor of Chinese studies at New Delhi's Jawaharlal Nehru University. "They are trying to tap into other markets if the United States goes ahead with a trade war," he added. The trade in soybeans is particularly important for both sides. Soybeans are America's leading agricultural export and China is its biggest customer, buying them from US farmers to use as a protein source in animal feed. China plans to hit American soybeans with a 25% tariff in response for planned US tariffs on Chinese goods. Government officials from India, Sri Lanka and Bangladesh did not immediately respond to requests for comment, while officials in Laos and South Korea could not immediately be reached. India has reportedly offered to step in if US soybean exports to China fall. A senior Indian official said at a meeting in Beijing in April that his country could "substitute for" products like soybean and sugar, according to Indian media. India exported soybeans worth only $155 million last year, nearly 60% of which went to the United States, according to Indian government data. None went to China. The five Asian countries could also benefit from Beijing's reduced tariffs by buying food products from the United States and selling them on to China. "In addition to soy, the United States exports higher valued food products such as pork, wine, tree nuts, and fruits to China," Loren Puette, director of market research firm ChinaAg, told CNNMoney. "The tariff concessions could benefit [the five countries] as re-exporters if they import US food products and export them to China at a reduced rate," he added. India is one of the many countries that has clashed with the United States on trade in recent weeks. It plans to increase tariffs on 29 US goods in August in retaliation for Trump's tariffs on steel and aluminum imports. A US trade delegation is in New Delhi this week for discussions with Indian officials. India also has an uneasy relationship with China on trade. The two large Asian neighbors clashed most recently on Indian tariffs on Chinese solar panels. And Kondapalli pointed out that despite the tariff reductions, access to China's market remains highly restricted for several countries. "We'll have to see ... whether this is a genuine policy readjustment or basically stalling," he said. "My hunch is that [China] will keep stalling, they will keep raising issues especially non-tariff barriers for some time to come."